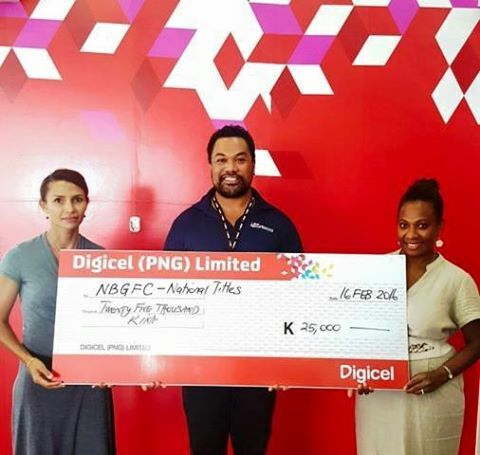 Digicel has pledged K25,000 to the National Game Fishing Titles event being held in Rabaul from the 19th to the 28th of March, highlighting its commitment to supporting PNG’s diverse sporting events. First held in Rabaul in 1976 the National Game Fishing Titles attracts anglers and non-anglers from around the world in a bid to lure the winning bite. Now in its 41st year, New Britain Game Fishing Club in Rabaul welcomes support from Digicel as a Platinum Sponsor of the event. Digicel PNG CEO Maurice McCarthy said Digicel is proud to be a Platinum Sponsor for an event that is deeply embedded in PNG’s heritage. “The PNG National Game Fishing Titles provide a great opportunity to showcase one of PNG’s many attractions to the world. “The event is a great draw card for attracting visitors to PNG, allowing them to experience PNG’s tropical climate and an abundance of virtually untouched waterways,” said McCarthy. “Supporting this event continues to highlight Digicel’s commitment to PNG’s community development and assisting to promote cultural tourism in the regions. “The sponsorship package will provide the Game Fishing Association with additional funds to promote the competition,” said McCarthy. The cheque presentation was held at Digicel’s Kokopo office on Tuesday 16th February with Jack Bourke, NGI General Manager of Digicel presenting the cheque to the New Britain Game Fishing Club.